Post a job on Google they said. It’s a simple way to get your job postings seen by qualified candidates they said. It’s free to post a job on Google they said. Is it true? Yes! But, more explanation on how to post jobs on Google is required and we’re here to help. Let’s start with the basics of how to post a job on Google. Google for Jobs is a new product from Google that matches job seekers with relevant, high-quality job listings. 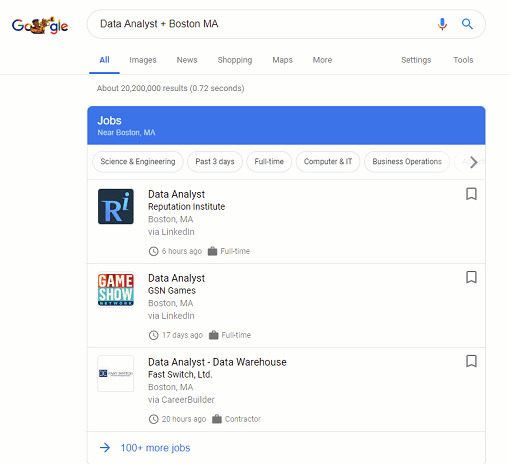 Google for Jobs aggregates job listings from around the web and presents job search results in a simple box at the top of the organic search results. Google aims to leverage the power of its search platform to deliver the best job postings to applicants through limitless filtering capability. For recruiters, this is a powerful new job listing engine that has the capacity to transform how job seekers find your jobs and to deliver you highly qualified applicants for your job postings. Google boasts on its Google for Jobs landing page: “Have your job postings found by millions of job seekers who search on Google every day.” Why wouldn’t you post a job on Google? Familiarize yourself with the Google for Jobs Posting Guidelines. 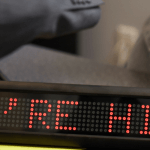 Type of employment – i.e. full time, part time, remote, etc. For each of your job postings, create an individual landing page for that job on your career site so it is easily crawled. Make sure that your career site content is not protected by a robots.txt file or robots meta tag to ensure it is crawl-able by the Googlebot. IMPORTANT: Be sure to add job posting structured data to your web page. Note that the structured data requires that you have a working knowledge of HTML and the JSON file format. You will also need a Google Index API account, and the expertise to work with the Google Index API. Lastly, you will need direct access to the underlying code on your job posting page to update the HTML with the required schema. It is recommended that you work with a developer in your company or a third party expert to implement this properly. The question Can I post a job for free? Crops up again. The short answer is yes. The longer answer is: be sure to take into consideration the time required to coordinate with your developer and your developer’s time. Once Google’s structured data is implemented, test, test, test! You want to be sure that your job postings are showing up on Google. For job posting URLs, Google recommends that you use the Indexing API instead of sitemaps because the Indexing API prompts Googlebot to crawl your page sooner than updating the sitemap and pinging Google. In addition to this, Google recommends that you submit a sitemap for coverage of your entire site. Use the Indexing API to notify Google of a new or updated URL to crawl. Submit a new sitemap to Google by sending a GET request to: http://www.google.com/ping?sitemap=location_of_sitemap (if you are not using the Indexing API.) More information and details about posting jobs to Google may be found here. 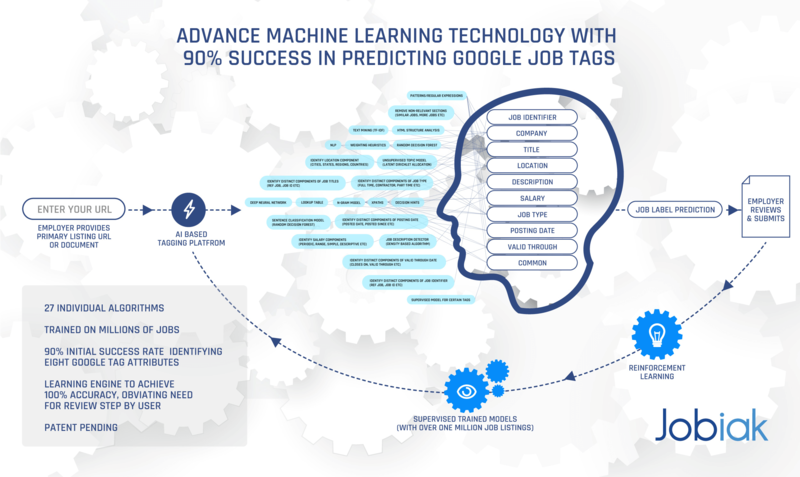 The first key step is to find out if your ATS is integrated with Google for Jobs. A number of ATS’ have done the work to forward your job posting to Google for Jobs. Keep in mind that some ATS’ declare that they are “integrated with Google for Jobs” however this is often an add-on service, or it requires special processing to ensure that your job does show up on Google for Jobs. If your ATS is not integrated with Google for Jobs, then you will need to work with your developer team to optimize your job postings manually. One notable ATS that has opted not to play with Google for Jobs is Indeed. Read up on how Indeed’s decision not to integrate with Google is impacting staffing and recruiting agencies. 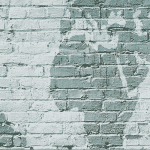 All talent sourcing teams agree that they want more candidates. Have you ever heard the expression: Meet your audience where they are? There’s no shortage of interesting Google for Jobs data, but this statistic is extremely compelling for recruiters and talent acquisition leaders. If you want to get more qualified candidates, you first need them to find your job posts. Post your jobs on Google to meet your audience where there are.